(Seychelles News Agency) - A group of people from Reunion -- a French overseas department in the Indian Ocean -- was on the island nation to establish the line of descent between families there and in Seychelles. The group of eight which forms part of the “Cercle généalogique de Bourbon” (CGB) - an association of genealogy studies - travelled to Seychelles to conduct an inventory. Part of the exercise is to identify the tombs of the Bel Air cemetery. The Bel Air cemetery located in the central district of Bel Air on Mahe – the main island - is a national monument with several graves of the first French inhabitants in Seychelles. “Our objective is to search for Reunion families that have settled and died in Seychelles since the first settlers,” the secretary of CGB, Nicole Defaud, told SNA on Wednesday. The first settlement in Seychelles – a group of 115 islands in the western Indian Ocean - can be traced back to 1770 when the islands’ first habitants settled on St Anne Island. The group included the French and their slaves which were Indians and Africans. Defaud said that since the group started the exercise on September 23, 60 tombs have been successfully identified. Thirty more are left to be identified, but due to their conditions, as some are in ruins, this is making the task very difficult. “We had to bring out the names on the graves by brushing the epitaphs (funerary inscriptions) with a white chalk in order to photograph it. The photos will be later analysed to find the genealogy of the dead,” said Defaud. The genealogical mission takes place within the framework of the Reunion -Seychelles cooperation. The project is financed by the County Council of Reunion and the Cercle généalogique de Bourbon. It is supported by the French Embassy and the National Monument Council of Seychelles. According to the French Ambassador to the island nation Lionel Majesté-Larrouy, Bel Air cemetery is the resting place of many "Bourbonnais" who first populated the Seychelles. “This is a historical study centred on genealogy, detailing the lives of those early inhabitants, their occupations, their origins, the names of their parents in Reunion as well as their descendants,” said Majesté-Larrouy. 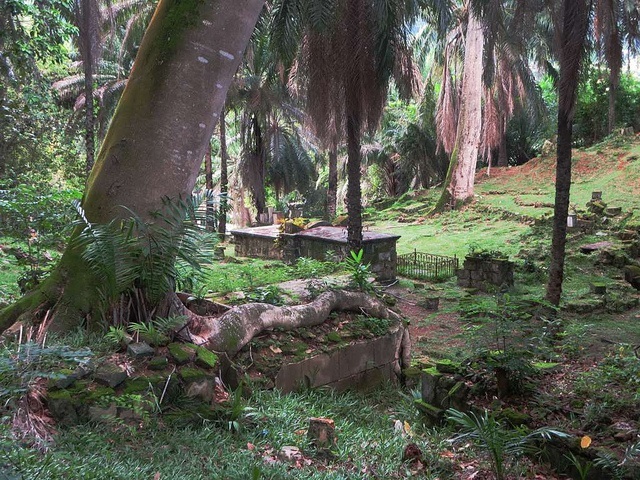 Bel Air cemetery is the oldest burial ground in Seychelles. It was opened in the late 1780s by the French settlers who created the L’Etablissement du Roi on Mahe in 1778. The cemetery is home to several vaults, including those of the first French inhabitants: the ancestors and ancestors of a large part of the Seychellois population today, who still bears their last names. Among them is Jean Corsair François Hodoul – born in 1765 and died 1835 - who built the Château des Mamelles. Reiny Jean d'Argent, a notary who was born in 1773 and died in 1834. Also among them is the mysterious Pierre-Louis Poiret, presumed son of King Louis XVI who fled the French Revolution which started in 1789. 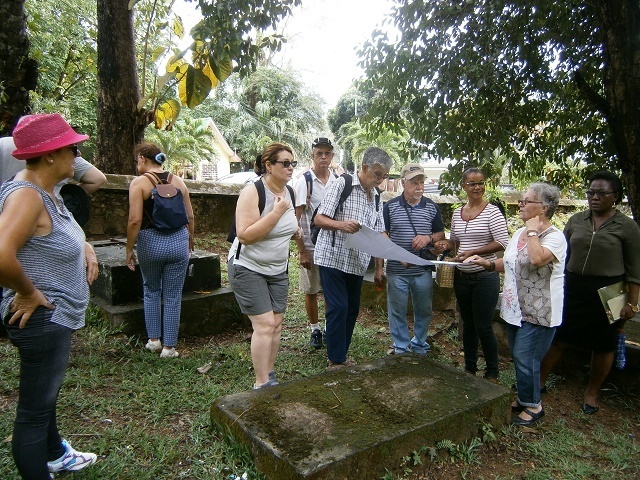 This mission to discover the ancestral linkage is not the first by Cercle généalogique de Bourbon as in October 2016, six residents from Reunion met with their Seychellois cousins who they have traced to La Digue, the third most populated island. Savy, Payet, Mellon, Mussard, Choppy, Hoareau and Morel are among the family names that have been linked to Reunion Island.